Not sure which Over 65 insurance plan to select? Scroll down to see a quick summary of each plan. We recommend our top choice of plans below. 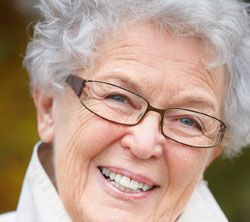 You can also SEE ALL PLANS for a variety of plans for travel insurance for Seniors from major international health insurance companies that provide overseas health and travel insurance for seniors over-65, those on Medicare or without Medicare wanting worldwide protection. VOYAGER CHOICE below also covers those with pre-existing conditions. These Over-65 and Over-80 travel insurance plans provide medical coverage, medical evacuation coverage, repatriation, and multiple deductible options along with multiple amounts of coverage. Must not be over 84 years of age. No reduction in benefits due to age. Must not be over 74 years of age. No reductions in benefits due to age. Patriot America Plus RECOMMENDED for non-U.S. citizens traveling outside their home country. This plan offers a complete package of international benefits available 24 hours a day to individuals and families. Sudden Recurrence of Pre-existing Conditions through age 69 covered up to the policy maximum. Patriot America Plus provides coverage for non-U.S. RESIDENTS traveling outside their home country. U.S. and Non U.S. citizens traveling to Countries other than the U.S.
Travelers 80+ are limited to $50,000 in coverage. Travelers ages 70-79 may choose $50,000 or $100,000 in medical coverage. Unexpected recurrence of Pre-existing conditions covered to $10,000 for age 65 and over. U.S. travelers looking for a senior Trip Cancellation plan worldwide – Try Trip Protector here. All non-U.S. travelers looking for a Trip Cancellation plan for outside the USA – Try Trawick Trip Cancellation here.